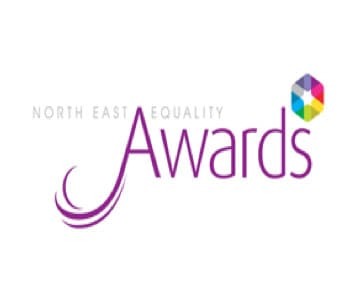 We are delighted to announce that Greenhope Oasis, the Allotment in South Shields, was selected as a finalist in the 2016 North East Equality Awards in the category of “Groups that have made a difference”. Thanks to the individuals that put so much effort into the allotments, Greenhope Oasis has gone from strength to strength. The resources that have been developed are at the forefront of Recovery providing participation in the local community and stronger feelings of citizenship and community engagement. The allotments have proved to be an excellent recourse to gain new skills, pursue an interest not only in gardening, but animal care, art and The awards are coordinated by Equality North East and are designed to recognise the achievements of local organisations, individuals and groups in embedding inclusivity through equality and diversity in day to day working practices leading the way to a fairer future for all. An awards ceremony was held on Thursday 20th October at Ramside Hall Hotel. Whilst we were not winners of our category we are extremely proud to have been finalists. The evening was a lovely way to acknowledge and celebrate the time and effort that has been put into the allotment to make it a success.